‘Boko Haram’s kidnapping of more than 200 schoolgirls is an unacceptable attack on girls’ right to education. The Government has therefore decided to allocate NOK 10 million to efforts to promote safe schooling for girls in northern Nigeria and help to the communities affected by the abductions. Norway will also consider providing humanitarian assistance for refugees and internally displaced people in the area,’ said Minister of Foreign Affairs Børge Brende. Boko Haram’s brutal attack on the school in Chibok in Borno state in northern Nigeria on 14 April and the group’s kidnapping of over 200 girls from the school has attracted a great deal of attention both in Nigeria and in the rest of the world. The girls have still not been found, and a further 11 girls were kidnapped in the same state on 6 May. Of the 60 million children worldwide who do not currently attend school, over 10 million are in Nigeria, and more than half of this number are girls. ‘I am deeply concerned about the situation of the abducted girls in Nigeria. The Government condemns Boko Haram’s brutal abduction of the schoolgirls in the strongest possible terms. 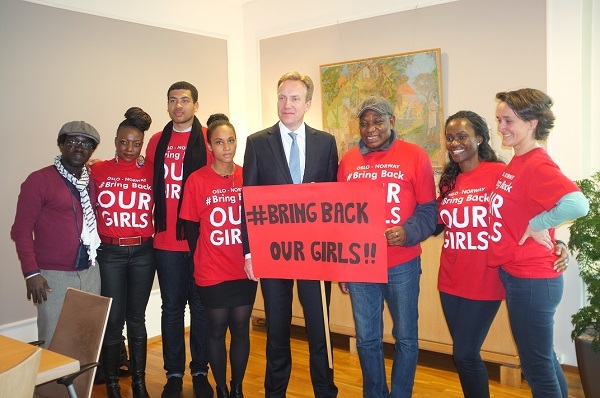 My thoughts are with the girls and their families,’ said Mr Brende. Norway is playing a leading role in the field of education at the global level, and girls’ education is one of the government’s development policy priorities.